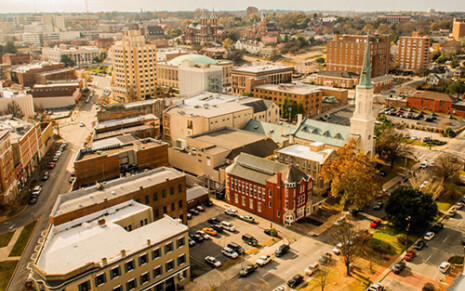 The 567 Center for Renewal is a non-profit community space for entrepreneurs, artists, and musicians who bring a collaboratively creative life to downtown Macon and surrounding areas through events, classes, and business development. We offer an art gallery, all-ages music venue, and business incubator. We also offer art classes and workshops. Space Notes The main venue can seat between 250 and 300 people and has a full sound system plus projectors for audio-visual needs. Art gallery is about 1200 sq. ft. and includes a smaller stage with a P.A system. Can seat up to 100 people and is suitable for smaller workshops, receptions, and business meetings. We also offer 4 classrooms that can comfortably seat 20 people each.